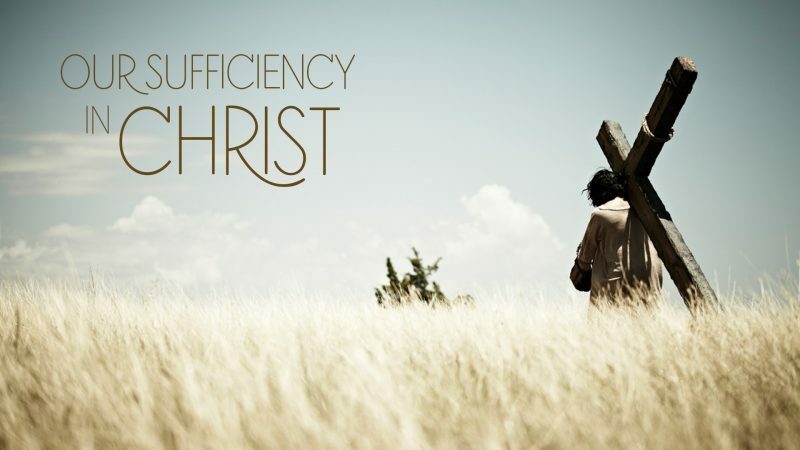 During my last article, we discovered the near joy of letting go of our self-sufficiency. We often need to come to the end of ourselves to find God. We realize that there is something more. Heidi Baker often cries out “More!” in her pre-talk prayers. Andrew Murray had to come to the end of himself so that he could lean more on God – in his preaching, devotions and impact on others. He was used as one of the leaders of the 1860- 1862 Cape Awakening here in South Africa. Sometimes those with incredible abilities have to put them aside so that they don’t coast through life on those abilities. These are incredible gifts, yes, but God has so much more. Don’t ever think that because you have a disability or struggle with illness that you can’t have God give you a life filled with purpose. I can think of countless times that God has used me on the mission field to surprise people. The gospel, and especially the cross can be offensive to some people. And if it comes in a different package then what your culture expects, wow. This happened to me the first time I went to Pakistan. During that time, I could still walk without a cane, since the osteo-arthritis did not yet appear in my knees. But I was still plus-size in a land where most people were rail thin. If anyone was overweight, they would be lightly teased. In my case, teasing came, and I just laughed it off, until it increased and I finally got it to stop. That’s a whole different story. However, the matter was that the people of Kot Lakphat in Lahore got a taste of the gospel through a different package, an offensive one. And…it got them to think. God is still doing the same for me in South Africa. If God can use a donkey to rebuke and stop someone causing harm, as he did with Balaam in the Old Testament, he can surely use everyone. Everyone has a story. Everyone has a purpose – whether they are able bodied or not. So we’re going to hear some stories! In Kenya, being disabled is considered a curse. Stereotyping and social exclusion are common problems among the disabled in Kenya, according to Anjeline Okola of the Ecumenical Disability Advocates Network. I’ve ministered in Kenya four times, and last stopped there while Tony and I were on our way to Sierra Leone. Thankfully for me I was not disabled at the time. However, I’ve learned of an inspiring Kenyan female pastor who co-pastors in the Bahati neighbourhood of Nairobi. The Bahati neighbourhood isn’t far from the Eastleigh area where I used to minister to Somali refugees. This pastor’s name is Dawn Gikandi, and she was ordained by the Presbyterian Church of East Africa. She was born disabled due to her mother being hit by a car when crossing the road. When her mother was advised to abort her child. She was told that her child would never walk and may suffer severe deformities. But instead, the child was loved on. She was given the name Dawn, which signified the beginning of their joy. Ron Piggott: My long-time friend Ron is another example. Ron practically lives in a power wheelchair. I met him when I was in seminary and he was in Bible College. He became like my little brother. He had several surgeries on his hips when he was a little boy due to Leg Perthes disease. He was fine and quite active in online ministry and work with youth until his hip joints deteriorated. He had four surgeries, and stayed with Tony and me during some of that time. After his hips began to finally work, his knee joints also became very bad. He has managed life in a power wheelchair for years now. Many people have prayed over him for healing, but instead, Ron was given a deep grace to endure. He has wisdom beyond his years, with an attitude of grace and perseverance. He is thankful for Holy Spirit helping him manage his life, as well as being able to reach out to others. He continues to minister online through several websites devoted to evangelism and Bible verses. Local youth randomly drop in on him and he pours love and encouragement into their lives. Recently one of them shared to Ron that a few years ago, he came to visit with secret plans of suicide. Ron spoke life into the boy without him even realizing what was in his heart. Another boy shared that Ron taught and showed him how to be a man. Normally a father figure does this for his son, but Ron did this instead. The mission field was coming to his house. Ron even turns the chance encounters of curious people asking about his wheelchair to opportunities to pour God’s love into people. And since Ron is no stranger to the internet, he set up a You-Tube channel to minister to struggling people on life skills and on dealing with disability in a positive way. My little brother is just as much a missionary as I am, and people are receiving life through Jesus. I had the opportunity to meet Henri Nouwen, who was a wonderful Dutch devotional speaker and writer. Later in life he worked with L’Arche, a French ministry to the developmentally disabled. And he often fought depression through his life, and chose to keep ministering by allowing himself to be a wounded healer. I saw him speak at my University – with the encouragement to put our brokenness under the blessing of Jesus. Jesus transforms our pain and brokenness, just like he did his own. It was a perfect example of 2 Corinthians 5:4 – He comforts us in all our troubles so that we can comfort others. When they are troubled, we will be able to give them the same comfort God has given us. Andrew White: I was also blessed in hearing Canon Andrew White in person. He’s a charismatic Anglican priest, who started out in England and eventually earned the nickname of “Vicar” of Baghdad. He was the only western Anglican priest in what was originally an expat church. During Andrew’s ministry in Baghdad, the congregation was all Iraqi. He has a huge heart of reconciliation in the Middle East, and compassion for the persecuted Iraqi Christians. Had it not become incredibly dangerous, he would still be ministering there. He was like a dear uncle to many children and the poor. He is not only a priest, but is also a medical professional. He had a medical outreach in his church that provided free medical care, dental care and prescriptions to Muslims and Christians alike. Yet he is disabled himself through MS. His own clinic found a way to treat him with his own stem cells, which gave him further perseverance in his ministry. He is often in Jordan with his Iraqi refugees, making sure the Iraqi church remnant survives, and there is a school for the children. And while he walks with a cane and has to limit his ministry time, the time he spends with those he is with is very, very precious. You would feel like you were a beloved member of his congregation. Michele Perry: I was amazed to discover that there is an Iris example of a disabled leader. Michele Perry has an amazing story. She accomplished much after coming to faith at age seven, including motivational speaking, leadership training, consulting and writing before she was 16. She also “stopped for the one” in the American inner-city streets, the streets of Calcutta, and later in Bangladesh. She was led to Iris after seeing Papa Rolland speak in Denver and went off to Harvest School, like Tony and I did years later. She even arrived at the school with shingles, which was healed by God in Mozambique. She was the one who pioneered the Iris base in South Sudan, which is now led by Carolyn Figioli. Michele endured the war-torn South Sudan bush with only having one leg. I can’t imagine how hard that must have been, but her book “Love has a Face” describes all the walking and ministry she did, so she must have been fit. Add to her situation that she stood out. The fact that she was so white, among very black Sudanese, was already a contrast. She said, “If I had been Sudanese, no one would have cast a second glance. But I am very white and everyone was fascinated. In addition, I have one leg and walk with crutches, making my white appearance all the more fascinating.” They probably gave her the same curious looks that I received in Pemba when I was walking around with a cane, only having one leg is even more obvious. She was already forced to depend on God physically, and her time in Sudan taught her even more about extreme dependence on God in other ways. We cannot love people to life on our own – it’s entirely with his life. It’s entirely through Him transforming our hearts to reflect His. Having a less than perfect body even shows the point even more. It’s only by His grace. Michele came to faith in the hospital. She said she was no stranger to hospitals. She was born missing her left hip, leg and kidney. She also had other birth defects that needed 23 surgeries before she was 13. So she walks with crutches. Michele came to faith when Jesus gave her a physical encounter in her hospital room. He was pure love. She said, “there he was in my room. He looked with eyes that saw me and loved every part. The good parts, the not-so-good parts, the broken parts – He loved them all.” Michele was not invisible, she was seen. She later learned that others were invisible too, and part of her ministry was to see them, to notice them, and to love them. In Bangledesh, she shared with beggars on the corners who wondered why she was not begging as well. They told her, “you only have one leg, you should be in your country begging, and you definitely should not be happy.” So she introduced them to the One who took care of her needs and gave her joy. She didn’t let her disability stop her. In fact, Jesus made her thrive, because she completely depended on him. She loved on her Sudanese community as well, and had many children under her care. Some of them were fearless and loved three year olds, who knew how to pray with confidence. Her personal favourite prayer was offered up by such a child. It was, “Jesus, please bring Mama her leg. I know it is in heaven. Bring it here now, Leg grow.” Michele said, “If I ever had a doubt of my leg being restored, my children’s faith has sure helped to banish it.” While she still has one leg, Michele continues to be used of the Lord to touch many lives. Speaking of Christian leaders missing a body part, here is another example. Bethany Hamilton is a surfer, who often speaks to youth to encourage them. She even went on a mission trip to Thailand a year or two after the horrible tsunami in 2004. Bethany unfortunately lost one arm to a shark attack. She struggled with what to do with her life after this event, and eventually re-learned how to surf professionally. You can see her story in the movie Soul Surfer. Andrew Murray: In my last talk, I shared about how Andrew Murray’s strengths or attitudes of self-effort could get in the way. Eventually he learned that he simply could not minister in his strength, especially when it came to writing. He had to dictate his writings to his daughter Annie (or another relative). He was forced to do this because he couldn’t hold a pen for long. When he was 21, he never completely recovered from malaria and overwork in his early ministry tours in what was the Transvaal). Each of these Christian leader’s stories show that they brought their disabilities to God. Dawn Gikandi resisted her call due to her disabilities, but then trusted God to make her able to minister his love. This is in a country where the disabled are shunned. My little brother Ron has peace with how God uses him to touch lives, even when he is in daily pain. His resilience surely is a gift from God. Avis Goodhart was given a chance to turn her life into something beautiful – so the unlikely missionary to Peru poured the love of Jesus into kids. Henri Nouwen may not have been a missionary, but he took his own brokenness and gave it to God. He was used to bless many, including the disabled in the L’Arche community. Andrew White has a difficult life physically, but is ONE of the most joy filled people I’ve ever known. He shines with the same deep light of the persecuted church, and is given the ability to minister to persecuted Iraqi Christians in the midst of his own pain. Michele Perry founded Iris South Sudan, although she had to give it up after 13 bouts of serious malaria and other problems. But she endured the bush for seven years, plus ministry in many other slums – with one leg. And still she keeps going, because of her dependence on God. And lastly Andrew Murray learned to depend on God once again – first he had to give God his strengths. Now he had to give God his weakness – and he could write through help of dictation. After all, having a co-writer wasn’t new. The Apostle Paul did this as well. So, what are your strengths? Give them to Jesus. Don’t let them get in the way, so you burn out for God. Don’t live by your strengths. Give them to God. What are your weaknesses? Give them to God as well. He will make them strengths in a way that seems like a paradox. Yet it isn’t. Jesus promises us that we can do all things through him who strengthens us. But this is really a promise when we rest in him and don’t strive. Let him work through you. Also, give him your expectations. Each of these people discovered that ministry and life would look different for them. God has a much better way. Surrender your expectations to God. Allow him to open your eyes, and widen your horizons. That way, it’s easier to receive God’s surprises! Here is a link to an eye opening article on the disabled being ignored within government websites (and other places).